At DDG, we believe art installation should be just as considered as the art itself. A thoughtful approach to the display of a collection is essential to its cohesiveness. Our team of artists and designers work together to create comprehensive layouts that unify collections with specific spaces in mind. In addition to working with 2D pieces, DDG can help create solutions for displaying non-wall bound work, such as sculptures, video, and other installation art. Our installation team at DDG is equipped with expertise and precision to handle art installation and hanging at any scale. Collecting is a deeply personal pursuit and we believe the layout of a collection should reflect those who collected it. We work with our clients in a multi-step process to get to know their artworks and their connection to it. At our meetings, we discuss the home’s architecture and the formal and spatial relationships of their collection and specific pieces to their space. DDG provides a unique perspective in their approach to art installation. Our background in fine art, photography, and design allows for a dynamic understanding towards artwork and how its displayed in your home. 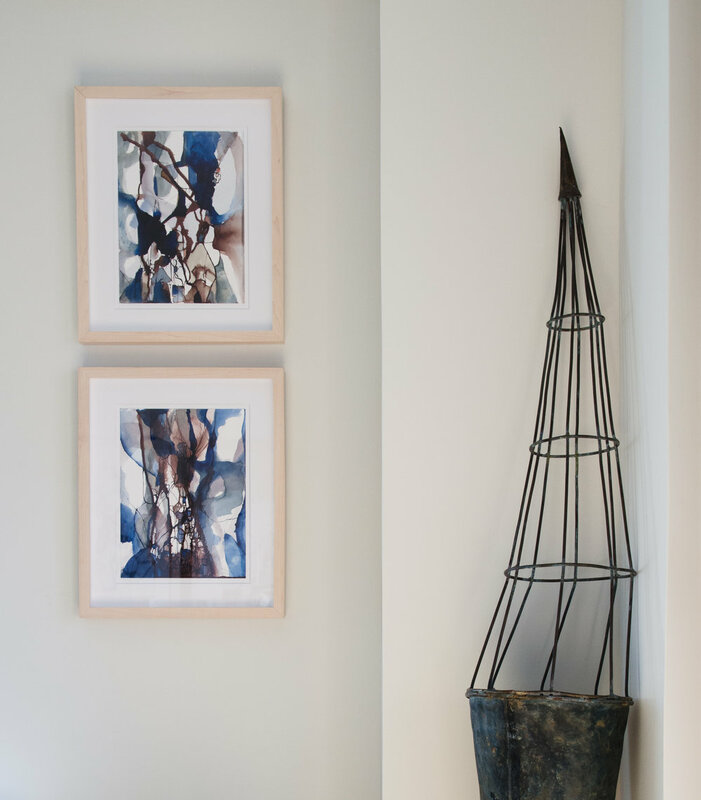 In addition to collection curation, DDG can help design alternative ways to display your art. From print ledges to allow for flexible artwork rotation, pedestals for sculpture, to other custom fabrication for non-conventional artworks, DDG can help find the best solution to showcase your collection.